Grand: If you had a baby sister or brother, what do you think would be a good name? 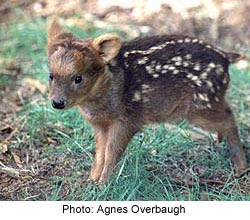 Definition of Pudu: World's smallest deer, pictured above. Joe to mom: Your hair is very pleasant for me to grab on to.